Limestone Springs - Wonderful relaxed neighborhood has swimming pool, workout center, club house, walking trails, playground, basketball and volleyball courts. MLS#21613505. Keller Williams Indy Metro NE. 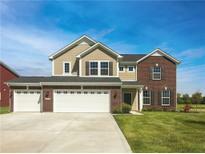 Photos shown may be an artist rendering, model home or the same model but located in a different subdivision due to current construction stage. MLS#21612902. CENTURY 21 Scheetz. Windermere Villas - Over-sized 2 car garage (2-4 ft extensions). Newer HVAC system! MLS#21613139. CENTURY 21 Scheetz. 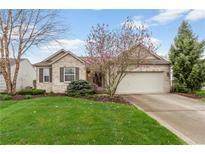 Heather Pointe - Walking distance to Hawthorne Golf Course! MLS#21612484. Encore Sotheby's International. Plus a loft area & the convenience of an upstairs laundry room. HSE Schools! 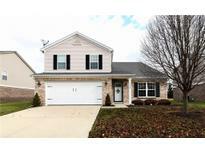 MLS#21612115. CENTURY 21 Scheetz. Sumerlin Trails - Inviting fireplace and bedrooms with huge walk-in closets. MLS#21612124. AK Realty, LLC. Masthead Fishers - Deck, Paver Patio w/InGround Fire Pit, Privacy Fence & Large.Yard with mature Trees. MUST SEE! New furnace! MLS#21610497. Berkshire Hathaway Home. Plus a large loft area and the convenience of an upstairs laundry room. HSE Schools! 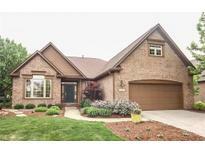 MLS#21611904. CENTURY 21 Scheetz. Silverton - This home is to-be-built & photos are of similar model. MLS#21611647. Berkshire Hathaway Home. Enjoy spending time out back on the 18x13 patio with brand new pergola and fully fenced backyard and storage shed. MLS#21611127. Sunblest Realty. Woods At Thorpe Creek - Finished lower level Recreation room with wet bar and full bath. 4 car garage. MLS#21611035. HMS Real Estate, LLC. Awesome daylight lower level with wet bar, 2nd kitchen, fireplace, exercise room, bath w steam shower, 2 bedrooms, large storage & wine storage. MLS#21610064. Berkshire Hathaway Home. 3 bay garage with opener and keyless entry system. MLS#21610903. HMS Real Estate, LLC. Prescott - Ability to buy into neighborhood pool at the Boulders. MLS#21610655. Keller Williams Indy Metro NE. The Horizon - This home has ample space for multigenerational living. MLS#21610534. United Real Estate Indpls. Photos shown may be an artist rendering, model home or same model in different construction stage. MLS#21610334. CENTURY 21 Scheetz. Photos shown may be artist rendering, model home or of same model. MLS#21610493. CENTURY 21 Scheetz. Photos shown may be artist rendering, model home or of same model. MLS#21610490. CENTURY 21 Scheetz. 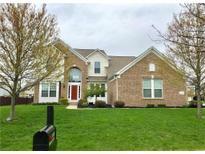 River Highlands - Minutes from the Fashion Mall, Clay Terrace and easy access to I-465. MLS#21609830. Encore Sotheby's International. Pictures included are artist rendering or model home photos MLS#21609019. F.C. Tucker Company. Community offers pool, playground, basketball courts & more! Incredible value in HSE Schools! MLS#21609757. ERA Real Estate Links. 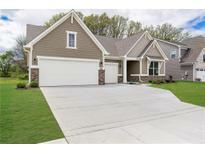 Photos shown may be an artist rendering, model home or same model in different construction stage MLS#21609557. CENTURY 21 Scheetz. Crosswinds At Windermere - Rear yard will wow you with it’s open patio, expansive wood deck with built-in seating, and beautiful pergola overlooking a tree lined horizon. MLS#21609009. Encore Sotheby's International. Amazing opportunity in Hamilton Southeaster Schools! MLS#21609741. ERA Real Estate Links.